Synopsis (via Goodreads): Imagine a place where the dead rest on shelves like books. I received an ARC from the publisher in exchange for an honest review. My thoughts and opinions are my own. Also, the quote I used may have been altered or changed in some way, but I am quoting from what I received. I am kicking myself for not reading this sooner! My first book by Victoria Schwab was The Near Witch, which was wonderful, so I should have known I would enjoy The Archived. Now I need to read everything else she has ever written, especially The Unbound. The author is incredibly creative. She didn't build a fantastical new world, but something intricate and secret that few people know about. The Archive seems simultaneously small and vast. There are endless possibilities, yet only a few. It depends entirely on who you are and what your purpose is within the Archive. It was magnificent. I had no idea what was going on. I felt just as lost at Mackenzie. Her loss and fear felt like my loss and fear. I cringed when she had to twist her words with her parents, and when she relived painful memories. I felt her determination and endurance. I was Mackenzie Bishop when I read this, and that is powerful and compelling storytelling. 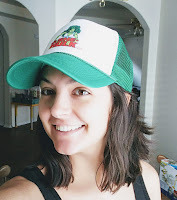 I was completely caught up in her story, and I didn't know anything until she did (yay!). I loved Mackenzie's flashbacks to conversations with her grandfather. They were very insightful and added another layer to the overall story. I also liked all of the secondary characters. A few of them were only mentioned a handful of times, but I felt like they were integral pieces of the puzzle. I knew a lot about them with very little information. If you've been wanting to read this book, or you've liked any of the author's other books, please don't waste a lot of time like I did. This is not a book that needs to be passed over for something else. It needs to be read and enjoyed. Can you believe I've never read anything Schwab yet? This one caught my eye a while ago, I looked it up on Goodreads (some reviews included), but for some reason I never got round to pick it up. I think it was the romance/love triangle issue (I tend to stay away from books where romance is integral to the story, and love triangles are a no-no for me LOL). On the other hand, you seem super-enthralled by the main character, and the world the book is set in sounds SO interesting...Would you say that someone who doesn't do romance could enjoy this one? There is very little romance, so I think you'd enjoy it. I also wouldn't say there is a love triangle. It's hard to explain without giving something away, but the main character doesn't have a conflicted heart. Thank you! I'll probably give it a try then. Yeah, this ones been on my tbr list forever. I’ll get to it sooner now. I know the feeling. I've had this book since before it came out, and I'm just now getting to it. I think I got it at BEA one year, but I can't remember. It's definitely worth reading sooner. Victoria Schwab is an author I have been meaning to read. Glad to hear this was such a good one. Great review! Thanks! She has quite a few books I want to read! 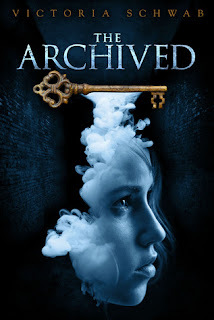 I love the idea of the Archive, and I've been wanting to read Schwab. It has a really unique premise, and clearly it drew you in as a reader. I'll definitely add this one! It was such a fascinating concept! It was a library for the dead, but without souls. A unique way for memories to be stored! I hear A LOT about some of her books, but not much about others, like this one. It sounds super interesting though. And it sounds like it's fantastically well written with how you could feel everything the character was feelings and it was really like you were in her shoes! Some authors can do that so well. Glad you liked this one so much! I feel like I hear something about her books at least once every day, especially on Twitter. You're right, though. I don't hear much about THE ARCHIVED or THE NEAR WITCH. I feel like her older books don't get a lot of attention, even knowing they are really great. This one was wonderful. Really. I'm so ready to read the second one because I DIDN'T KNOW there was a second one! Lol.